TIAM My Signature C Source 30ml. brightens and balances skin tone and firms your skin for beautifully healthy skin. After applying toner, spread the C Source on the areas with tired and stressed skin. Instantly hydrate your skin. (5.7 fl oz/170 ml). Rohto Hadalabo (Hada Labo) Gokujyun. 極潤 Gokujyun. After removing your makeup and cleansing with HADALABO Goku-jyun Face Wash, pour a nickel-size amount of the lotion into your palm and rub between your hands to warm. 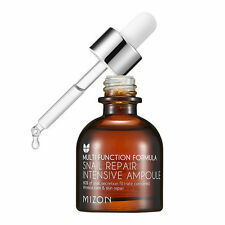 Mizon SNAIL REPAIR INTENSIVE AMPOULE 30ml. Snail mucus filtrate 80% and E.G.F can improve resilience of tired skin. Designed for direct touch of snail viscisity:Provides nutrition. Apply it on whole face on the essence step. Na acetyl hyaluronate (super hyaluronic acid), hyaluronic acid Na. hydrolyzed hyaluronic acid (nanoated hyaluronic acid). EDIA-2 Na, K hydroxide. diethoxyethyl succinate, 2 Na succinate, succinic acid, phenoxy process Tanol. 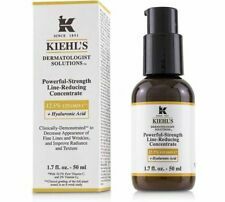 Dark Spot Removing Serum. with Vitamins C, E. by Int'l Potal. Hadalabo 極潤 Gokujyun. Rohto Hadalabo (Hada Labo). Use them as a system to cleanse, hydrate, and treat your skin for healthy looking, more youthful, and beautifully radiant results. SPF50 PA . UV White Gel. 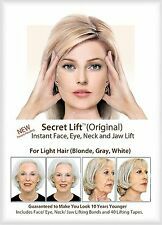 • 1ea : A.H.C Ageless Real Eye Cream for Face 30ml Season7 Collagen Anti Wrinkle & Whitening with Gift. • Water-Soluble Collagen, similar to human collagen. 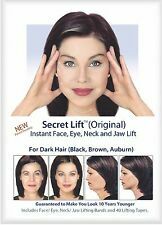 • This eye cream has been proven to be effective a lot of different tests. Estee Lauder. 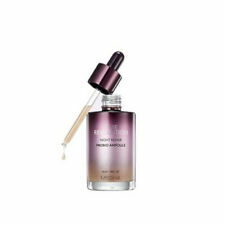 Synchronized Cream Complex II Gel - 15ml. Dryness, dehydration. 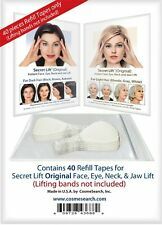 Lines and wrinkles look significantly reduced. Skin feels smoother, hydrated, stronger. 82% felt their skin was instantly hydrated. With Placenta. Whitening Eye Cream 30g. Trial Size (10ml x 3 ea). After using essence or emulsion, dispense a sufficient amount, gently apply, and spread. And, we are always open and willing to solve any problem. Your inquiries and complaints will be answered within 24 hrs. Mario Badescu. Skincare by Mario Badescu. Facial Spray with Aloe, Herbs & Rosewater All Skin Types. To use: Mist on face & neck & hair as needed. Skin Ceuticals. Perfect for all skin types. 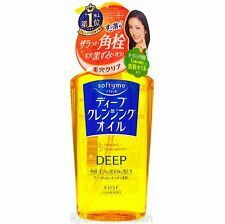 Can also be used on dry hair. All in one Gel Cream 90g. Perfect Gel.